I have been delighted to take the jubilee 25th edition of International Tourism Trade Fair TT Warsaw 2017 under the honorary patronage. This event constitutes a perfect forum for the exchange of knowledge, experience as well as for the promotion of regions from around the world. For a quarter of a century, the trade fair has been one of the most important international tourist events as well as a recognisable brand worldwide. 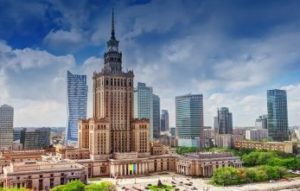 The TT Warsaw trade fair mission is to stimulate the development of tourism. Statistics show that in Poland, we are heading in a good direction. Last year, we saw 9 % increase in national travels. Poland’s tourist advantages are appreciated also by foreign tourists. According to our estimations, the number of tourist arrivals in 2016 increased by 4.8 %. We want Poland to be an attractive place to relax throughout the year. In order to encourage tourists to be active also during a so-called low season, in 2016 we initiated an action “Polska zobacz więcej – weekend za pół ceny” (Poland, see more – weekend with half price). In 2017, around 500 partners engaged in a spring edition organised by Polish Tourist Organisation, and 77,500 tourists used the offer. Weekend with half price becomes more and more popular with each new edition. The safety of Poles who choose foreign destinations is the most important issue for us. In order to protect our countrymen, a Tourist Guarantee Fund was established, which, in the case of insolvency of a travel agency, ensures customers a full refund of a trip as well as a safe return journey. TT Warsaw trade fair has been one of the largest exhibitions of a tourist offer in Poland for over 20 years. I would like to thank to all engaged in the organisation of the event, and I wish the participants an inspiring time – full of meetings, conversations and experience exchange.